The PTCE, or Pharmacy Technician Certification Exam, is offered by the PTCB (Pharmacy Technician Certification Board). 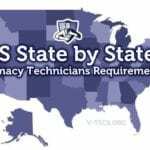 Those that wish to pursue a career as a pharmacy technician will more than likely be required to become certified, although not every state requires it as an entry level candidate. 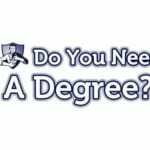 This certification is an accredited one by the NCCA, or the National Commission for Certifying Agencies. This certification will also ensure that pharmacy technicians have the information necessary to be successful at what they do. The entire point of the test is to make sure pharmacy technicians will be able to do the work that they need to do and work with a pharmacist. It does come with a cost of $129, and you can apply to take the exam online. The exam is judged by a panel of experts in the pharmacy technician and pharmacist industry. There are over 400,000 people that have become certified since the test has been offered. Exams can be found in a variety of test centers and is offered lots of times, so if you miss it you can just hit the next one. What’s In the Pharmacy Technician Certification Exam? There are some practice exams that you can take in preparation for the big exam. They can be found on the PTCB website. Please keep in mind though, these are not tests that are designed to determine if you will pass or fail the test, they are designed to give you a familiarity with the type of test that you will be taking. Just because you pass a couple of practice tests doesn’t guarantee that you will pass the real exam. They are purely intended to give you the comfort you need with the structure of the real exam.